I’ve always loved Valentine’s Day – not because of the champagne-and-red-roses kind of romance that Madison Avenue would like to sell you, but because it is a day devoted to love. That said, what we now know as Valentine’s Day began where all good stories begin… in Rome. There were, probably, two St. Valentines – both Christians living in Rome during the third century AD. We know virtually nothing about either one, but both seem to have been beheaded as martyrs of the faith their legends have, over time, merged. 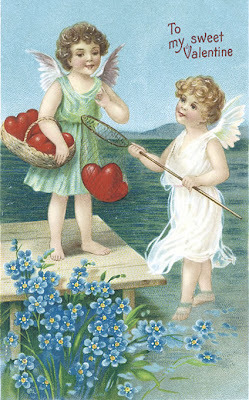 St. Valentine’s Day (February 14) has long been associated with love and lovers, however, and there is debate and discussion about these origins. Traditionally, St. Valentine was said to have performed secret marriages for the emperor’s soldiers. 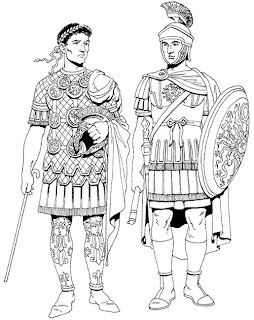 The Emperor believed that unmarried men made superior soldiers and had outlawed marriage amongst his men. This story, however, has been widely questioned. Some say the association is related to the Roman feast of Lupercalia. Others discount that theory. 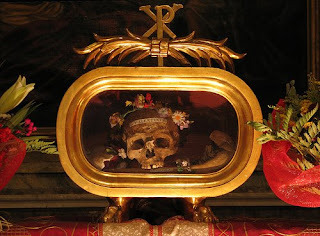 The Skull of St. Valentine (Santa Maria in Cosmedin) Photo by Br Lawrence Lew, OP . Despite this historical ambiguity, February 14 has been associated with coupling for centuries, and relics of St. Valentine can be found in churches throughout Europe including at Santa Maria in Cosmedin (the church in Rome best known for housing the Mouth of Truth). If you are in Rome for St. Valentine’s Day, make your way to Viale Maresciallo Pilsudski and the remains of the church of San Valentino. The church sits on the site of a 2nd century pagan cemetery. Early Christian churches often were built at the site of martyrs’ graves. Pilgrims would flock to the graves to pay homage to the dead, and eventually memorials were built and then churches. Christians were buried in the cemetery from the 4th to the 6th centuries, and a catacomb was cut into the hillside on the site. Eventually a church was built which covered part of the cemetery and honored St. Valentine. The church fell into ruin, and now it is only open one day each year: St. Valentine’s Day. A mass is said for the saint who has become the patron saint of couples, bee keepers, and happy marriages (sadly, there is not yet a patron saint of bloggers). The mass is generally followed by brief tours of the catacombs which are only open one each year. know that I love my readers! 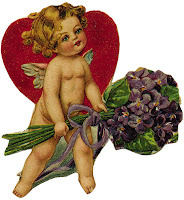 And a special St. Valentine's greeting to my readers from DeliciousBaby.com's Photo Friday . Hugs and Kisses! My kids were just asking me these questions--thanks for the answers! Whitefriar St Church in Dublin apparently holds the bones of at least one of these St Valentines, another potential travel destination for the tour of love! Happy Valentine's Day. There are several churches in Europe, actually, that have remains of St. Valentine. I think it is a testament to his popularity -- and perhaps our constant longing for love! how cool is that? the skull is sort of gruesome, but beautifully housed. thanks for the great post! and happy valentine's day! "But isn't this relic matter a little overdone? We find a piece of the true cross in every old church we go into, and some of the nails that held it together. I would not like to be positive, but I think we have seen as much as a keg of these nails." He goes on about the crown of thorns and then "And as for bones of St. Denis, I feel certain we have seen enough of them to duplicate him, if necessary." I don't recall Twain running into St. Valentine, though. Patron saint for bloggers? Now there's an idea! Thanks for the Valentine's history. Also because it is about love..
Also because it is about Italy..
Did you enjoy S. Valentine's Day?